At Elco Floor Coverings, professional flooring installation is an important part of every customer’s home . If you’re considering remodeling your home, Elco Floor Coverings in Myerstown, Pennsylvania will provide you with the expert flooring installation that will upgrade the appearance and increase the value of your home. 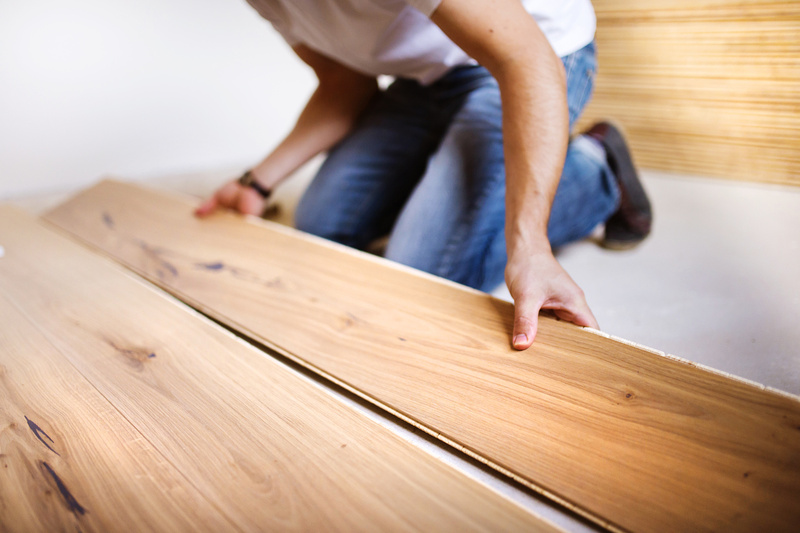 Our professional installation team knows that new floors are an important part of any home remodeling project. No matter which type of flooring products you choose, we know that proper installation is critical because different flooring products call for different installation processes. Moreover, if you don’t have your floors installed and measured properly, you might need to have them installed again in just a few years and at a significant extra cost. Hardwood – Hardwood flooring is generally considered to be the ideal choice for entrée ways, living rooms, stairways, bedrooms, and more. When you have hardwood floors installed, accurate measurement and installation is important. Hardwood floors will give your home a classy, upscale look. They are strong, attractive and functional, and they last long, especially in high foot traffic areas. Tile – You can choose from ceramic, porcelain and vinyl tiles. Each type is available in a wide range of colors and styles. It is important that tile floor installation is done by professionals that understand the correct methods to install each type, because they are all somewhat different. Measurement is critical when it comes to having floors installed the right way, both for proper appearance and to prevent ordering too much or too little flooring product. Carpet – Although carpet is not as popular as it was a few decades back, there are still many styles, textures and varieties of colors to choose from. Carpet is still a popular choice for bedrooms because of its soft texture and range of available colors. Accurate measurement and placement remains important for carpet installation. Elco Floor Coverings serves customers in Myerstown, Lititz, Lebanon Reading, and other nearby Pennsylvania areas. If you’re considering the installation of new floors in your home, Elco Floor Coverings in Myerstown, Pennsylvania will be pleased to discuss your options, answer your questions and provide you with a free in-home estimate. Visit our showroom in Myerstown to see one of our flooring installation specialists today.